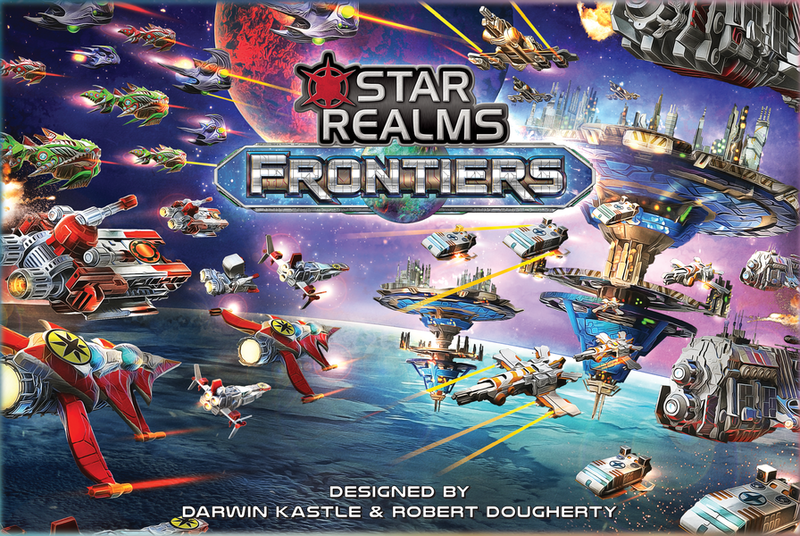 Star Realms is a fast-paced game of space battles that combines the fun of a deckbuilding game with the interactivity of Trading Card Game-style combat. As you play, you make use of Trade to acquire new Ships and Bases from the cards being turned face up in the Trade Row. You use the Ships and Bases you acquire to either generate more Trade, or to generate Combat to attack your opponent and their Bases. When you reduce your opponent’s score (called Authority) to zero, you win! Battle your friends or team up to play cooperatively against the game! 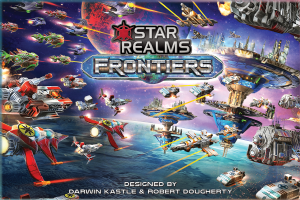 Plays on its own, or combined with any other Star Realms set. An all-new 80-card trade deck featuring some new mechanics like the double ally ability which really rewards you for focusing on a single faction! Starting decks for four players. Four sets of new, easy-to-use score cards. Full color rulebook for two player PVP games, and awesome multiplayer formats like Free-For-All, Hunter, and Hydra! A fast paced deck building game, typically played in 20 minutes, easy enough for beginners and with enough depth to keep the gamers coming back for more. Colony Wars is a deckbuilding game in the Star Realms series which is both a standalone box set for two players (featuring an 80-card trade deck, as in the original) and an expansion for the base Star Realms set that allows it to be played as a four-player game.